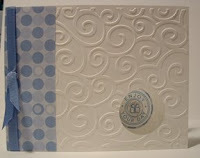 MORE BLOGGER RAK HAPPY MAIL! 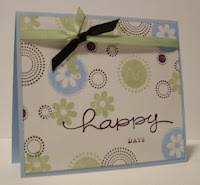 I am behind in posting my simply amazing Blogger RAK's I have been receiving in the mail. Seriously, I get several everyday and I have been behind in taking pics of them and posting them on my blog! So here are a few that I received last week and am just now posting! 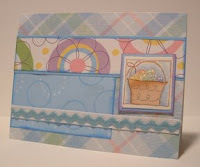 This simply adorable easter card came to me from Lauri (I lie, cheat and case)! Isn't it just the cutest easter card?? Thanks so much Lori for the kind words inside and for sending me this great card! Oh, you get the prettiest RAK's! You're a lucky girl! 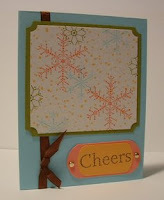 Thanks for sharing all your RAK's along with your own very fun and creative projects! Wow, such pretty RAKs Kendra!! btw I love the new photo of yourself... you match your new blog colors perfectly! OMG! 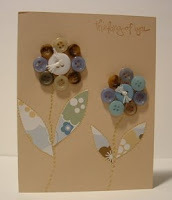 I love your button flowers! Hope you had a nice birthday Kendra!